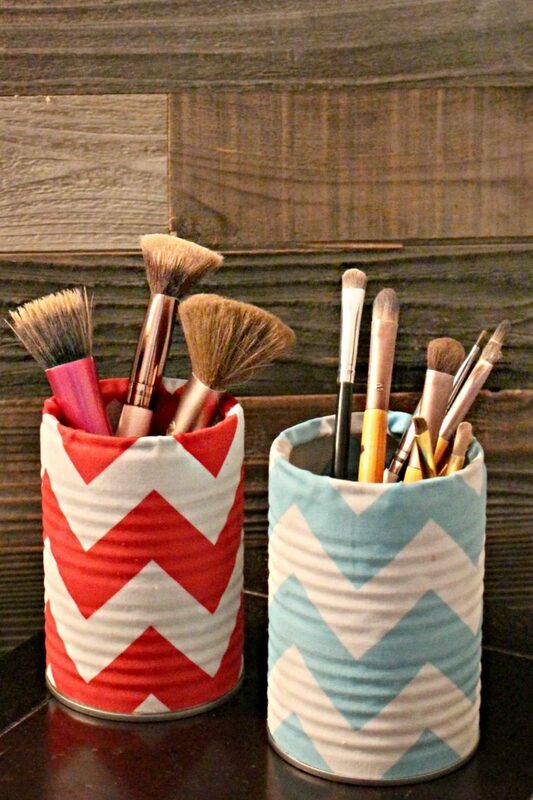 Make your own DIY makeup organizer using easy to find supplies like tin cans, fabric and mod modge! 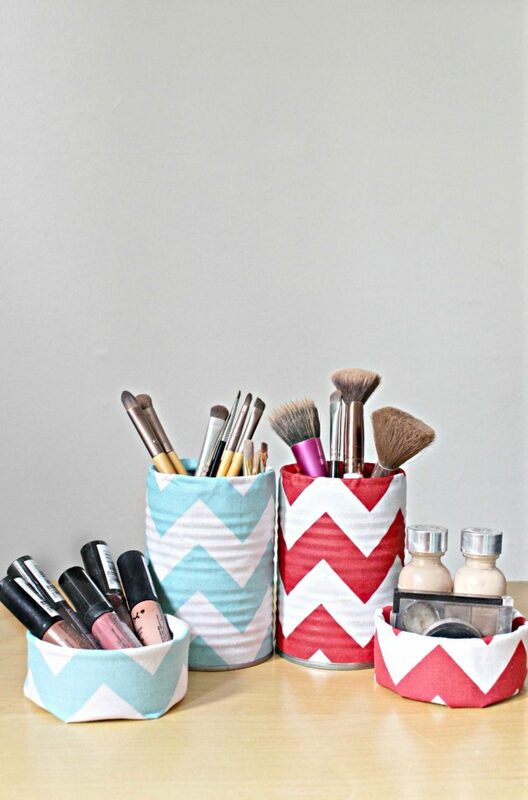 These makeup storage containers are unique and easy to personalize to match your style and home decor! 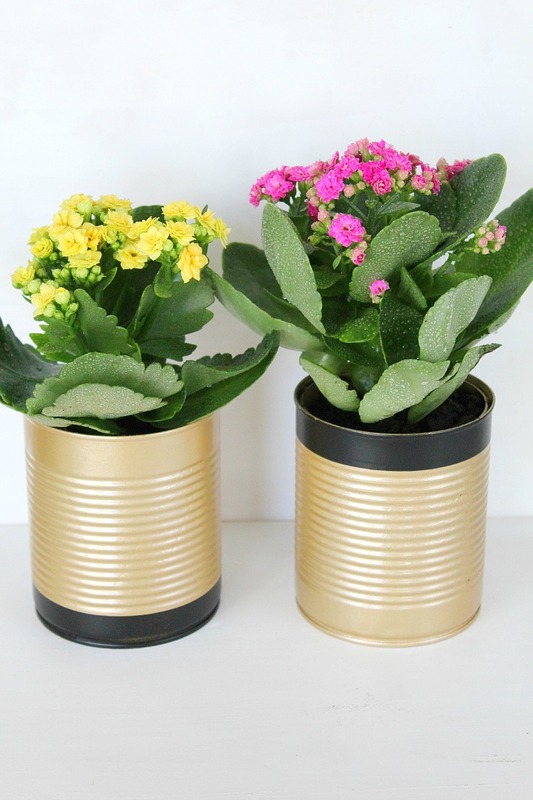 I love recycling and tin cans are the perfect addition to my home decor once I craft them into something beautiful like these makeup storage containers! 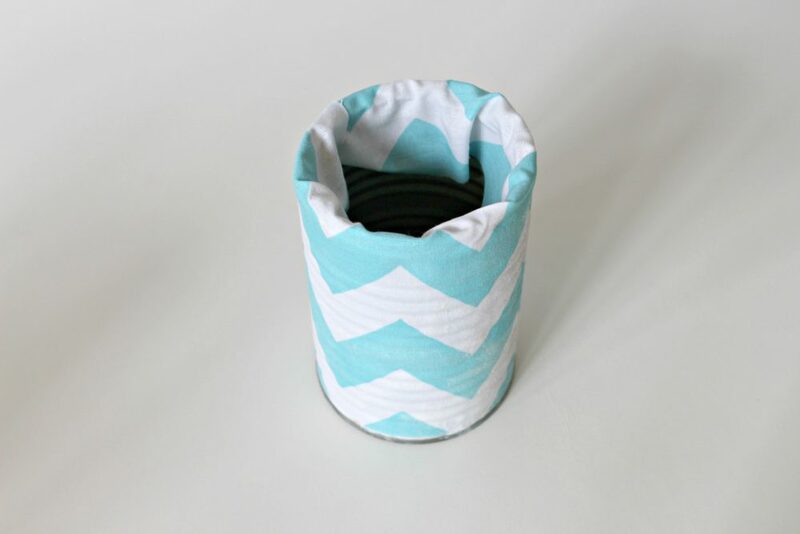 Making your own DIY makeup holder has never been easier with this simple to follow tutorial! You’ll be hooked! 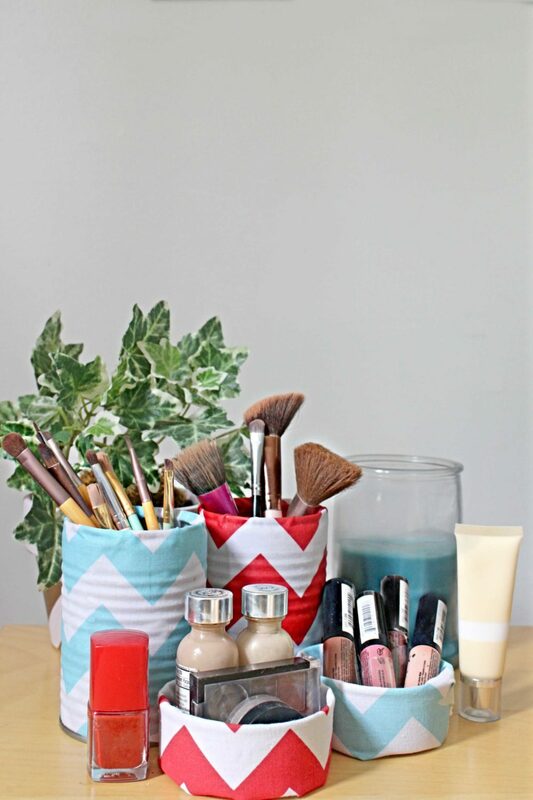 These makeup storage containers are not only super useful and a great help in keeping the clutter at bay. But they’re super cute too thanks to the fabric choice! They super great at keeping your brushes organized and clean and your space tidy! Fair enough, you can always buy a makeup storage organizer but why spend money when you can make one to match your personality, your needs and home decor. Remove labels from the cans. Wash and dry them completely. 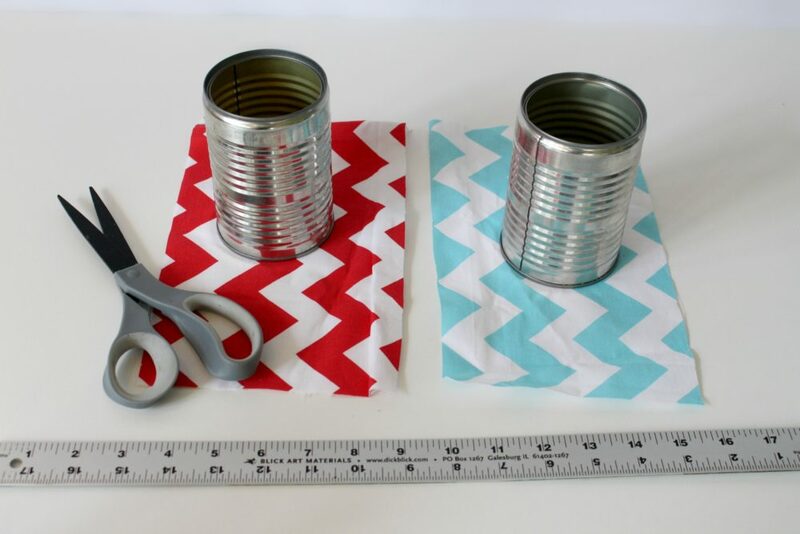 Measure the fabric around the can. You will want to leave about ¼” on the length for overlap. Measure the height of the can and add 2 inches. Cut the fabric into the correct sized piece. Repeat this for the second can. 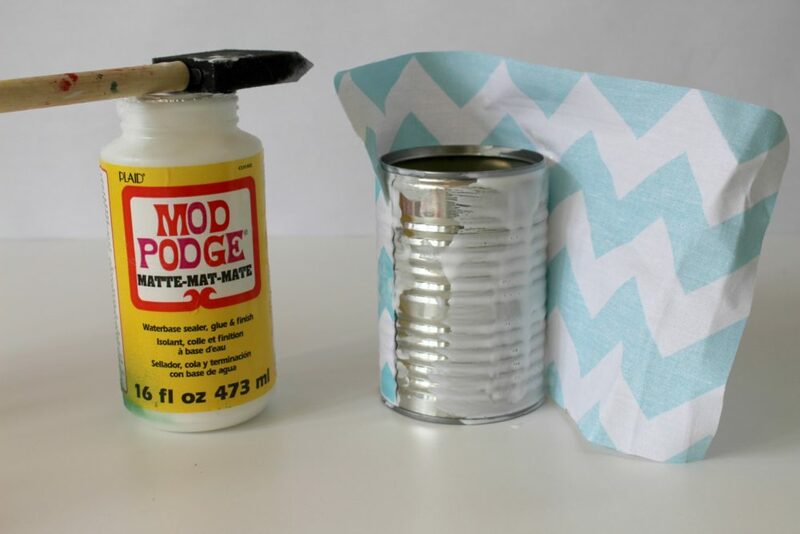 Cover a can with modge podge in sections while applying the fabric to the can. 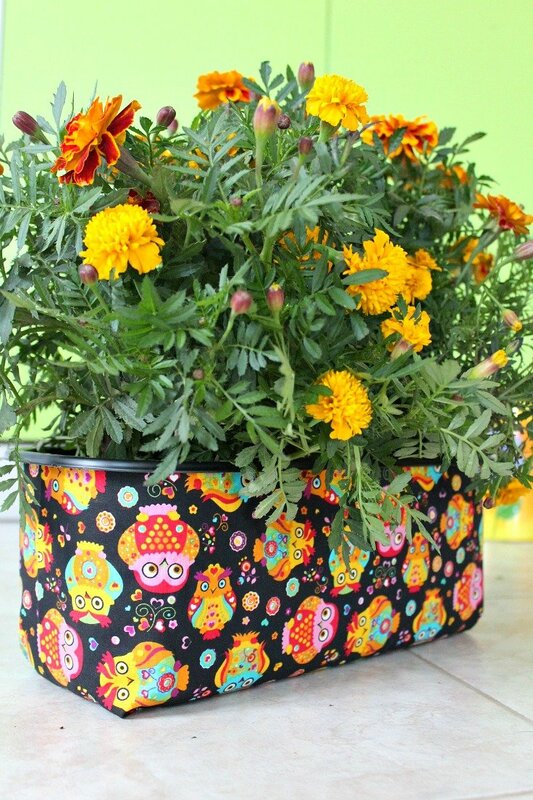 Once you have covered the can with the fabric, use the foam brush to add more Mod Podge to the outside of the fabric until it is fully saturated. 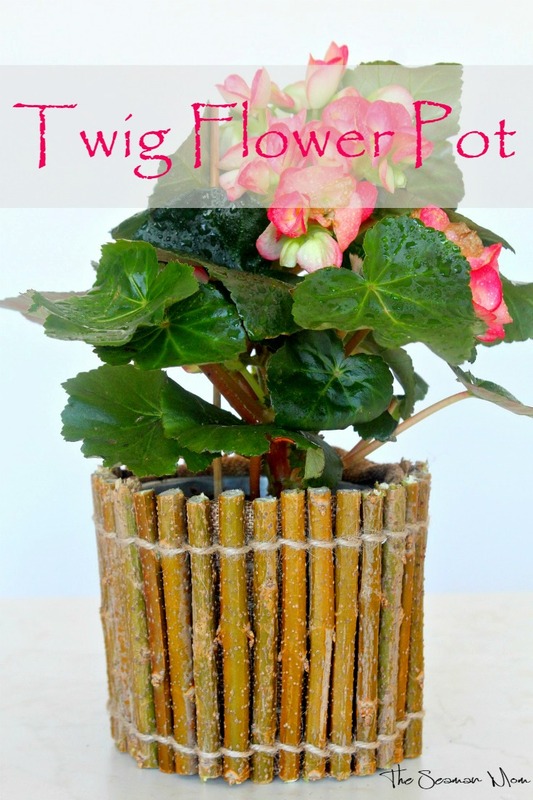 Use the foam brush again to add Mod Podge to the top rim of the can and to the inside of the can about 2 inches down. 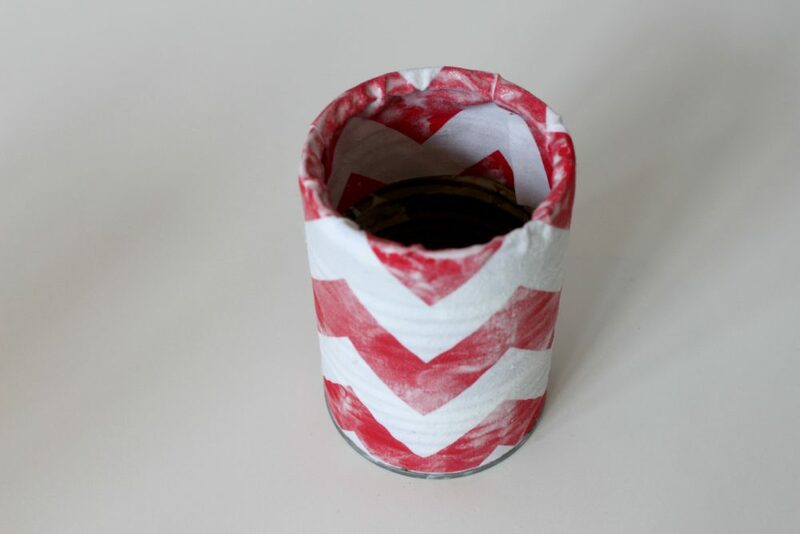 Fold the extra fabric down into the can and press it into the Mod Podge. 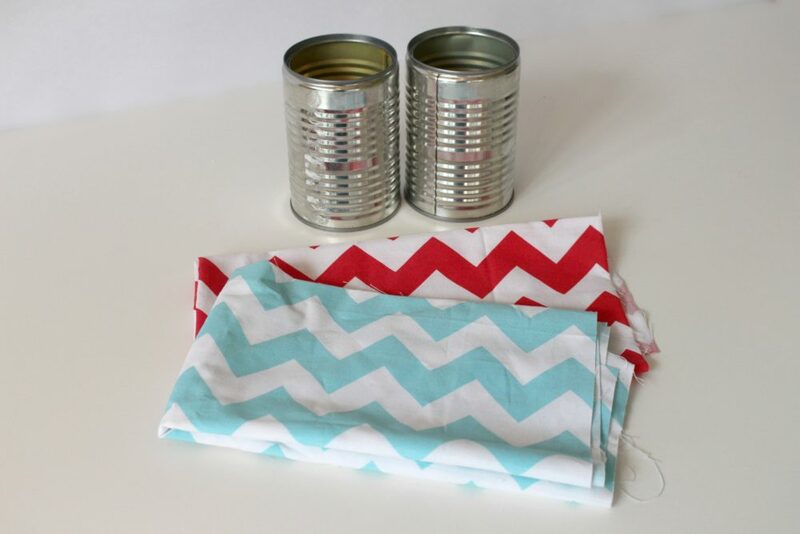 Add more on the outside of the fabric until it is saturated and sticking to the inside of the can. Repeat steps 3 – 5 with the second can. Set both cans aside to dry overnight. Step 7. 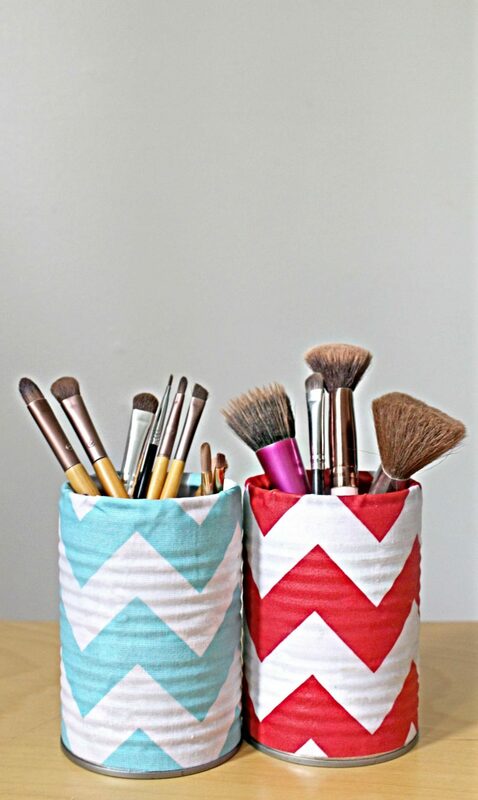 Fill with makeup brushes for some fashionable home decor and organization.